At least six people were stabbed during and after a Migos concert that descended into chaos in Albany on Friday. 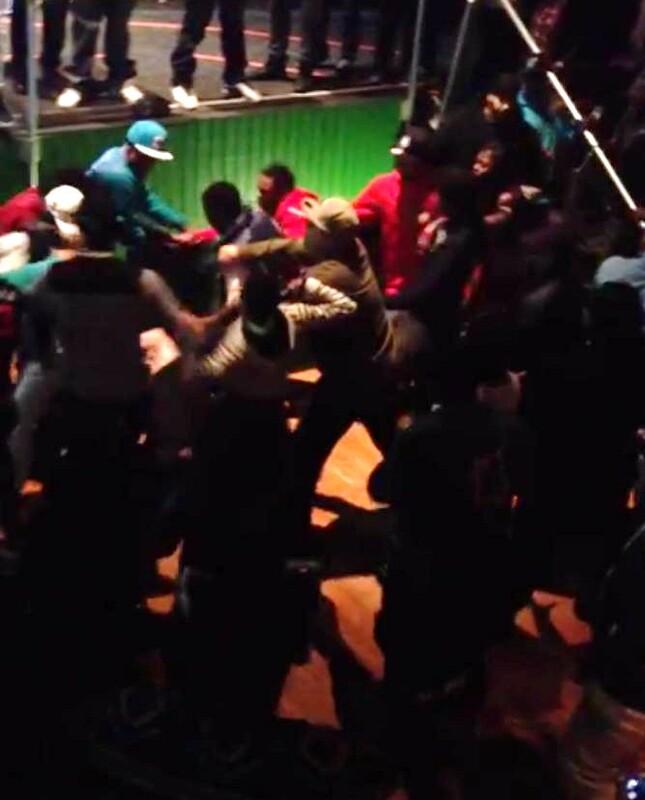 Police have made no arrests and named no suspects, but video of a brawl at the show has now surfaced. Watch the clip above and below. Police say officers responded at approximately 12:50 a.m. on Saturday to the Washington Avenue Armory, where the event took place. They found two men in their twenties who claimed to have been stabbed by an unknown assailant. the emergency room at Albany Medical Center Hospital with stab wounds. Both of those victims said they’d been hurt at the concert. At approximately the same hour, police responded to a residence, where two more male victims said they’d been stabbed at the armory. During a separate residential visit, cops found an injured teenage girl who claimed she’d been followed into a bathroom at the venue, assaulted and robbed. The portion of the fight captured on video shows concertgoers throwing barriers, garbage cans and other items while other attendees flee. It’s not known what triggered the melee.